New York can take a toll on a perfectly made-up face. From 8 a.m. lectures to late night internships, running between classes and sweating on subway platforms can easily dissolve all your morning’s hard work in just a few hours. With these 5 tips, you’ll be able to maintain your morning glow and stay looking fresh long into the night. 1. With the fall season approaching, dark vampy lipstick trends are returning. To keep a bold shade intact, try layering the lipstick over a matching lip liner. Then, using a tissue, blot off the excess product and follow by setting it with translucent powder. Dusting the powder on with the tissue between your lips and your powder brush will prevent cakeyness. Finally, lightly dab on a sheer second layer to lock it all in. 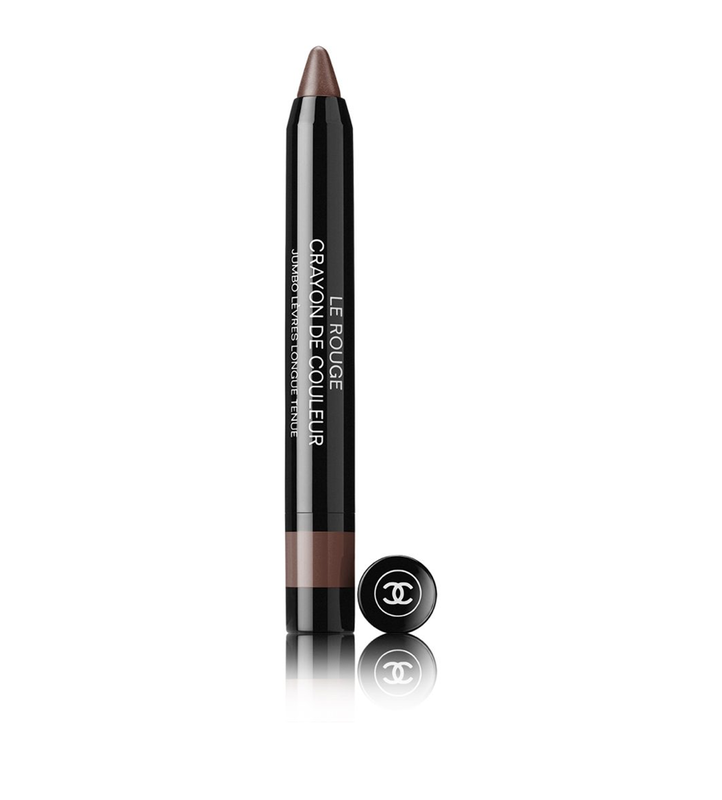 This year, my favorite shade of the season is Chanel’s Le Rouge Crayon De Couleur in shade N22. 2. Painters often start their work on a prepped canvas. Your skin is no different! The key to a lasting foundation application is an effective skin care routine. Using a good exfoliator will remove any dry, dead skin cells and keep the 4 p.m. foundation flakes at bay. I recommend both Neutrogena’s Oil-Free Acne Wash Pink Grapefruit Foaming Scrub and Philosophy’s The Microdelivery Exfoliating Facial Wash. Make sure to always moisturize after exfoliating and before applying makeup. 3. I swear by setting spray. Although it may seem like an unnecessary step, a quick spritz can add a few hours onto the lasting time of a look. Kim Kardashian’s makeup artist Mario Dedivanovic recommends fanning the spray while it’s still damp to help it set more quickly. My personal favorite is Urban Decay’s De-Slick Makeup Setting Spray. It keeps my makeup in place and adds a soft glow on the high points of my face. 4. The “baking” trend is here to stay, and for that, I am thankful. Before I discovered this powder craze, that originated within the drag and theater communities, I was unable to wear under eye concealer without it creasing. 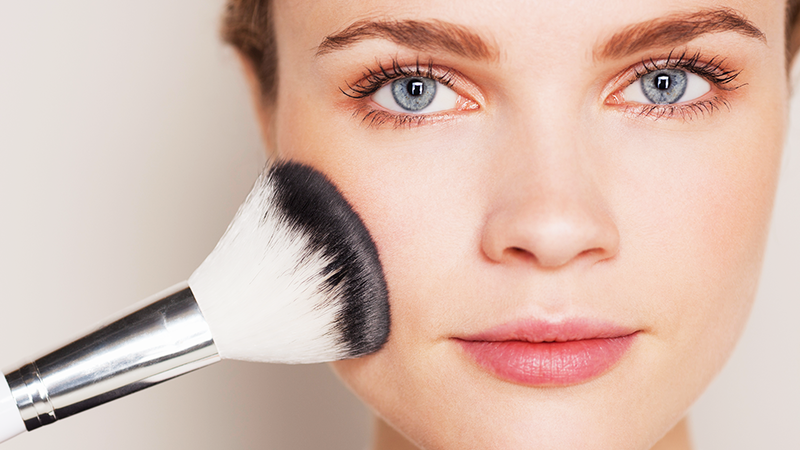 To “bake” your face, simply pat a thick layer of loose translucent powder over your blended concealer and wait 5-10 minutes before dusting off the excess. The heat from your skin will heat up the products and make for an incredibly smooth, long-lasting application. Dermablend’s Loose Setting Powder is my holy grail for this technique. 5. If your eye makeup has the tendency to slip and slide, a strong eye shadow primer and under eye powder will do just the trick. Before applying any pigment, smooth a primer all over your lids and wait for it to dry. I have tried many eye primers since both Ulta and Sephora hand them out as free samples constantly, and my favorite by far is Lorac’s Behind the Scenes Eye Shadow Primer. This product acts like a glamorous super glue. Also, the “baking” technique mentioned above prevents mascara and eyeliner from smudging into your under-eye area. With these few extra steps, you will be better able to conquer your busy day while stressing less about losing your look.